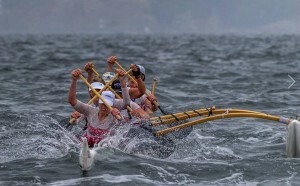 If you’ve never paddled in an outrigger, or lack confidence in your paddling abilities, the False Creek Racing Canoe Club Novice Program welcomes you to learn basics of paddling technique, boat safety and outrigger culture! It is a lot of fun! Once you have completed the novice session, we encourage you to advance into one of the FCRCC Outrigger Programs. To participate in the Novice OC-6 program you must be a member of the FCRCC for the month you are participating in the program ($60). This is included in the $80 fee. If you continue on in the program for more than one month, you will be asked to upgrade your membership to an individual member. The $60 one-month trial membership fee will be credited towards the full membership fee.